Customers Please Note: SSL VPN Licenses CANNOT be shared across multiple SonicWALL Devices. Businesses large and small need to address the growing demands of more distributed work sites and an increasingly mobile workforce in order to compete in today's global marketplace. Remote access has become a business imperative. 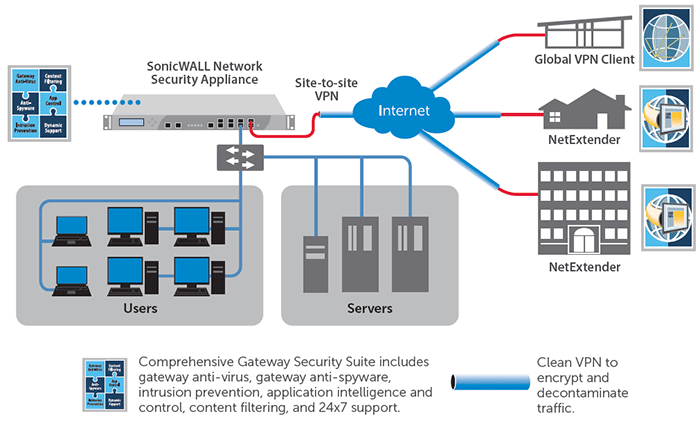 SonicWALL VPN Clients offer a flexible easy-to-use, easy-to-manage Virtual Private Network (VPN) solution that provides distributed and mobile users with secure, reliable remote access to corporate assets via broadband, wireless and dial-up connections. For remote client-to-host secure access, SonicWALL offers both SSL VPN and IPSec VPN connectivity options. For SSL VPN, SonicWALL NetExtender provides thin client connectivity and clientless Web-based remote access for Windows, Windows Mobile, Mac and Linux-based systems. For IPSec VPN, SonicWALL Global VPN Client enables the client system to download the VPN client for a more traditional client-based VPN experience. Enhanced layered security is enabled when a SonicWALL Network Security Appliance uses powerful deep packet inspection technology to scan VPN traffic for malicious threats such as viruses, worms, Trojans and spyware. The combined solution is known as SonicWALL Clean VPN*. Easy VPN management SonicWALL's award-winning Global Management System (GMS) provides simplified management of SonicWALL VPN Client connections. 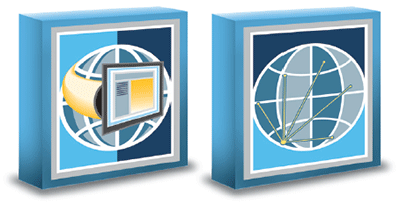 NetExtender - Clientless connectivity removes the need for a pre-installed or "fat" VPN client, thus freeing administrators from the tedious and costly task of installing and updating a client on users' Windows, Mac or Linux-based systems. Easy-to-follow wizards help users install and configure a VPN connection quickly and easily. IPSec VPN users simply enter the domain name or IP address of the SonicWALL VPN gateway and the Global VPN Client configuration policy is automatically downloaded. Extended user reach and productivity by connecting from any single or dualprocessor computer running one of a broad range of Microsoft® Windows® platforms. Further extending secure remote access, the Global VPN Client enables encapsulated VPN traffic to traverse any IP network using Network Address Translation (NAT). VPN session reliability provides simultaneous Global VPN Client connections that can be established to multiple SonicWALL VPN gateways. The Global VPN Client supports redundant SonicWALL VPN gateways to ensure mission-critical network access in the event the primary gateway fails. *Clean VPN requires an active Gateway Anti-Virus, Anti-Spyware and Intrusion Prevention subscription for the governing SonicWALL network security appliance.